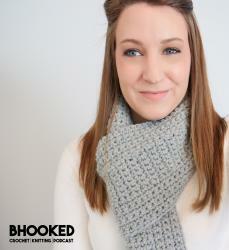 Your finished knit headband will measure approximately 7.5″ wide (unstretched), 11.5″ (stretched) and 3.5″ tall. CO 72 sts. Join to knit in the round. Round 1: *K2. P1. Rep from * around. Rounds 2-9: Rep round 1. Break color A and start round 10 with Color B.
Rounds 10-19: With color B, Rep round 1. Bind off in pattern. Keep your bind off as loose as possible to allow for the headband to stretch.